A Calgary-based start-up called zenGOT is trying to help people save time by out-sourcing tasks to other people. 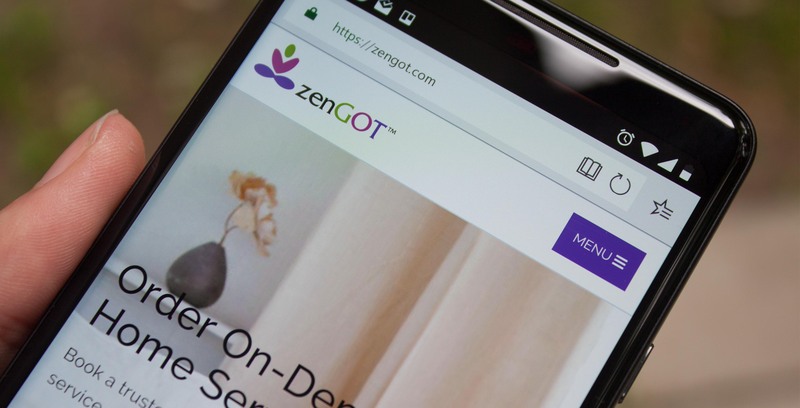 zenGOT is an online platform that helps connect customers with affordable service providers. The service providers, called zenGivers, can help complete a variety of tasks. Errand running, cleaning and yard work are just some of the options the service offers. Think of it like an Uber or Airbnb, except instead of a ride or a place to stay, you’re renting someone’s service. However, zenGOT sets itself apart by allowing its zenGivers to be independent. zenGivers can set their own rates and hours. Additionally, zenGivers can set up their own resume-like profile where users can also post reviews and rate them. “I love that zenGOT enables me to run my own business,” said Viola Simon, a single mom from South Sudan in a promotional video for zenGOT. Simon immigrated to Calgary from Uganda, where she briefly spent time in a refugee camp. She explained that the flexibility allowed her to work and care for her children. Additionally, zenGOT offers gift cards that customers can buy and send to other people. Gift card recipients can select and redeem any of the on-demand services offered by zenGOT. Catherine and Tag Goulet created the online platform. In addition to zenGOT, the Calgarian sisters started publishing company FabJob, which specializes in guide books on how to start your own career. It’s important to note, however, that there is some competition in this space. AskforTask is a Toronto-based start-up with a similar program. The platform boasts over 150,000 ‘taskers’ ready to help in major cities like Toronto, Ottawa, Montréal, Edmonton and more. AskforTask is also available in Calgary. Fiverr offers a more unique approach, specifically targeting new businesses by offering services in graphics and design, digital marketing and more.